Illustrated by Tara Calahan King. 26 pages. Chronicle Books, 1998. A girl named Velvet does things differently from her kindergarten or first-grade classmates, and they avoid her until she wins the class art contest. After this, the things she says and does start to make sense to the other children. Much of what makes her seem odd is that she is clearly poorer than her classmates, and in learning to accept her, they discover that it's possible to have fun with less money. Ultimately, her way of doing things, although different, becomes one of many possible ways, rather than being "odd." Children will understand that they need not be ashamed of being "different" or having less money, even though other kids might think so at first. Illustrated by Terry Ravanelli. 34 p., JayJo Books, LLC, 1998. Each letter of the alphabet is related to an aspect of asthma; for example, B for bronchial tubes. 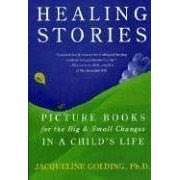 In addition to describing various aspects of care for asthma, and emphasizing the importance of medical attention, this book includes statements that a child who has asthma is "just a regular kid," that asthma is not contagious, and that sometimes kids have feelings about having asthma and that talking about those feelings can help kids feel better. Children will understand asthma and its treatment better, and those who have asthma will feel self-acceptance around it. Illustrated by Beth Peck. 32 pages. Puffin, 1991. Matthew and Tilly are friends who do almost everything together. Occasionally, though, they get tired of each other. Once, Matthew accidentally breaks Tilly's crayon, and they argue. Matthew stomps off. Each plays by him- or herself, telling him- or herself that it's more fun this way, but also thinking that it would be more fun with another person. They think of each other at the same time, and each looks to see what the other is doing. Matthew apologizes, Tilly apologizes, and they're together again. This story demonstrates to children that friends may argue, but they can still value each other, and can make up. Illustrated by Anita Jeram. 32 pages. Candlewick, 2001. A secure relationship can be just what's needed in a scary situation. On a dark, stormy night, Mrs. Bear puts little bear Sam to bed. In what comes across as a regular, comforting ritual, she reads him his favorite story, tucks him in, gives him his stuffed animals, drinks a glass of milk with him, and finally gives him a goodnight kiss. In spite of pouring rain and howling wind outside, Sam goes to sleep, comfortable and cozy. This story shows children that a scary situation is not so scary when you face it with an adult who really knows what you need.